JoAnn Covington, age 82, of Nashville, TN passed away on Wednesday, October 24, 2018 at Greenhills Health and Rehabilitation in Nashville. She was born on May 26, 1936 to the late Lewis H. Strong and Aline Willey Strong in Nashville. 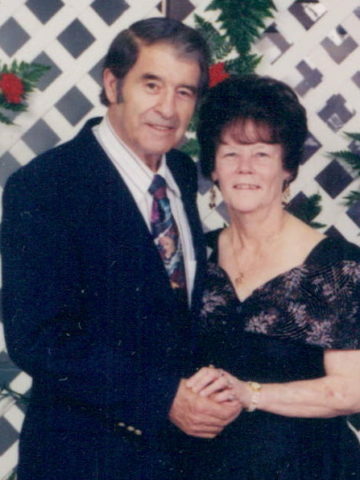 JoAnn is preceded in death by her second husband, of 53 years, Raymond D. Covington, Sr. and her first husband, Gordon B. Williams, Sr. She is also preceded in death by her son Gordon “Buddy” Williams, Jr.; and three sisters, Janelle Strong, Mary Jane Gray, and Barbara Sue Strong. JoAnn is survived by her daughter, Frankie Jean Williams(Donnie); son, Ronnie Williams, Sr.(Alice Jane); grandchildren, Tracy Covington(Monty) and Ronnie Williams, Jr.(Tiffany); and sisters, Betty Williams, Louistean Allen(Bill), and Carolyn Singleton. She is also survived by several special nieces and nephews. JoAnn’s favorite pastime was cooking, especially baking. She also enjoyed sewing and dancing. She was very committed to the VFW community and particularly active at Post 1970. A Celebration of Life service will be held on Monday, October 29, 2018 at 2:00pm in the chapel of West Harpeth Funeral Home, with burial following at Harpeth Hills. Visitation will be held on Sunday, October 28, from 4:00-8:00pm and again on Monday from 12:00pm until the time of service, all at West Harpeth Funeral Home. In lieu of flowers, the family asks that donations be made, in memory of JoAnn, to the Alzheimer’s Association or Alive Hospice. So sorry for the families loss of there loved one.May God give y’all the strength and guidance to help get through this.. So very Sorry for the loss of your Mom may God give you strength and comfort. Sending lots of prayers and hugs. So sorry Frankie to see the loss of your mother. My prayers are with you. Frankie and Ronnie , I love you both of y’all so much. Precious Lord , Take their hands and let them stand where no one stands alone. The Dear Lord has both of your hands. 🙏🏼 You are both in my heart and always have been. Love Aunt Linda You will both in my prayers. If either of you need me Call. I LOVE YOU BOTH ! The Veterans of Foreign Wars Auxiliary and the Military Order of the Cooties will greatly miss JoAnn. Heaven gained another Angel. Thoughts and prayers go out to the family in this great time of sorrow .